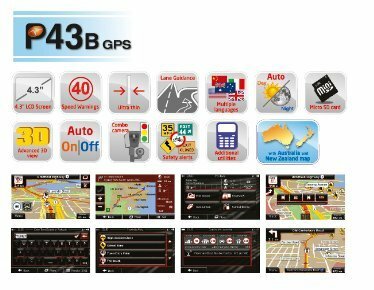 Pre loaded with the latest Australia and New Zealand mapping, the P43B contains all the essential features you need to get you where you want to go: Text to Speech, lane guidance, safety cameras, a myriad of POI’s, multiple routing options and a stylish user interface. 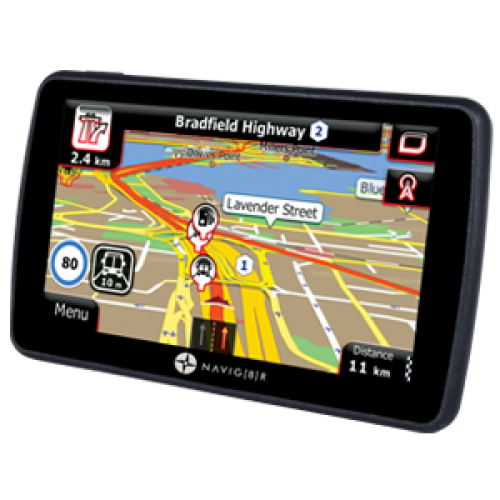 Housed in a slim 1.1 cm chassis, the P43B is powered by a Samsung CPU and a fast acquire GPS antenna, which means you wont be waiting for your GPS to calculate your trip, it will be waiting for you. Its Lithium Ion battery will provide you hours of usage when not plugged in to your car adaptor.